Finding Common Ground: Update & Manifesto! This week, I had the privilege of attending the summit “Finding Common Ground” sponsored by the non-profit nutrition organization Oldways, headed by President Sara Baer-Sinnott, and co-chaired by Dr. Walter Willett of the Harvard School of Public Health and my husband, Dr. David Katz of the Yale Prevention Research Center. 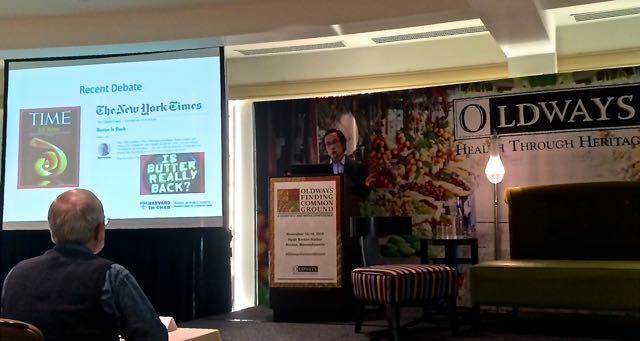 The conference brought together some of the world’s top scientific and medical experts in the field of nutrition, discussing diets widely ranging from paleo to vegan, low fat to Mediterranean, low-gIycemic to gluten-free with the explicit task to find the common denominator among them and agree on a common core of nutrition facts. The goal of this gathering was to dispel any confusion the public may have about what actually constitutes a healthy diet, undeterred by unsubstantiated hear-say and/or fads du jour and empower them to distinguish between fact and fiction! Also present at the conference were some of our nation’s top nutrition and health journalists representing outlets as diverse as NPR, The Today Show, The Wall Street Journal, WebMD, USA Today, L.A. Times, HuffingtonPost, Family Circle, Women’s Day etc, to help communicate this consensus message, and messages about nutrition in general clearly, accurately and responsibly. The room was filled with energy, buzzing with excitement, and even with tension at times, but it made it that much more real and meaningful when at the end, a clear consensus about common ground was reached! I will not reiterate each point as it is in everyone’s hands now (and I encourage you to read it in its entirety) but I’d like to touch on some of the things that I think are relevant to the questions that I have heard you ask on Cuisinicity. The big one that has been confusing people, partly due to the recent New York times article entitled “butter is back!” is: where did we land on the fat debate in our diet? NO! Butter and bacon are NOT back! In a nutshell, the 2nd line that reads “silent on upper limit for total fat: Types of fat are more important” is in the context of making clear (in the 3rd line) that as long as you limit saturated fat to 10% maximum, and eliminate transfat altogether, there is no set limit on the remaining healthy fats, namely those that come from olive, avocado, nuts and seeds because they confer health benefits. YES you can have an OUTSTANDING healthful diet that is very low in fat, rich in vegetables, fruits, whole grains, beans, lentils, nuts, and seeds. This is typical of a plant-based Dr Ornish style diet. AND YES you can also have an OUTSTANDING healthful diet, also rich in vegetables, fruits, whole grains, beans, lentils, nuts, and seeds, but you might then choose to place particular emphasis on nuts, avocado, olives, olive oil, fish, and seafood, so, it will be higher in overall fat. This is typical of a more Mediterranean-style diet. Note that, because the emphasis is on healthy fats, NOT saturated or transfat (limited to no more than 10% for saturated fat and eliminated all together for transfat), you are still safely in the realm of evidence-based disease prevention/health promotion by dietary means. Both these diets are outstanding: What experts agree on is that diets that happen to be low fat, because they are made up of wholesome, healthful foods that are low fat; and diets that are much higher in fat, because they are made up of wholesome, healthful foods that are higher in fat- have both been associated with astonishing improvements in overall health, the reversal of cardiac risk factors, and the prevention of heart attacks. They are not in conflict: You get to choose whether you want to lean toward the lower-fat end of the spectrum (Ornish style) or the higher-good-fat end of the spectrum, within the realm of wholesome healthful foods. The beauty of it is…. it’s up to you! True Health Initiative (click here). Where does Cuisinicity fit in within this spectrum ? It’s clear that on Cuisinicity, I lean toward the Mediterranean end of the spectrum (LOTS of vegetables, fruits, beans, lentils, wholegrains, nuts and seeds with SOME fish/seafood, poultry, eggs and fat-free dairy (with the exception of occasional full-fat cheese used sparingly, I am French after all!). THAT’S what you’ll find in my recipes but that doesn’t make Cuisinicity better than a stricter vegan, and/or very low fat healthful diet. You can decide how to combine the dishes to fit your own preference, be it vegan, vegetarian, pescatarian or omnivorous. You also know that on Cuisinicity, I do not use any red meat at all–that’s a choice, partly based on our own family ethics on animal welfare, and also because it is better for the planet (sustainability was a very important consideration in the consensus agreement–you can read more about it). But if you choose to add lean unprocessed meat, in moderation, to your diet, while still emphasizing wholesome healthful foods, then, you will still benefit from a healthy diet. On Cuisinicity, added sugar is reserved for desserts and, even then, I try to minimize the amount I use (I elaborate more in my post entitled: “Put Sugar in its Place!”), but whether the total amount of added sugar in your diet adds up to no more than the recommended 10% upper limit depends on how often you eat dessert! So, as delicious and nutritious as my Cuisinicity desserts are, don’t go overboard with them and make sure they are a treat rather than an everyday occurrence! One of the consensus points that was also emphasized at the conference is that Food should be good for your health, good for the planet and…just simply good and unapologetically delicious (I asked to have that little qualifier added…but of course!). Cuisinicity is in good company there too. I, along many others, are sure to dispel the old notion that healthy necessarily tastes bland or boring. Wholesome healthy foods not only burst with flavor but they impart lusciousness without the guilt, as well as yumminess to our growing kids without the added junk! It’s time for all to embrace the notion that healthy is not just delicious: it is unapologetically so! So, I am happy to say that Cuisinicity is right in the sweet spot (couldn’t resist the pun)! Still, I have been inspired to create more vegan one-pot recipes, so that I can include even more of them in our family diet, so stay tuned! There is so much more to say, but this conference was really the start of a campaign directly from the experts to take charge of a true health message and to unite with health journalists to help un-beffudle the public. 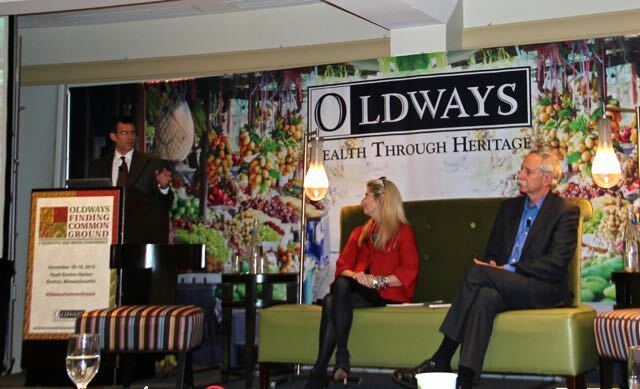 In fact, Oldways even created a “Media clearinghouse” for journalists to connect directly with scientific experts on food and nutrition topics and help them write accurate stories, grounded in science. So, with that in mind, I’d like to end with links to some of the outstanding health journalists that presented at the conference (there were a lot more than I am able to list below, who participated in the discussions and lended their support and insightful comments, but too many to cite here, so my apologies to those of you I omitted. I love you guys too!). These health journalists are among the ones you should turn to first when you are unclear or confused about what you have heard about nutrition and the latest sensationalistic headlines, because they are knowledgeable, responsible and dedicated to public health and disseminating facts, not fiction! 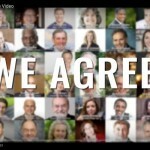 I am thrilled and honored to have been able to witness what I think is the start of a global movement toward a culture of health, devoted to disseminating the truth unencumbered by personal gain or just plain wishful thinking. I hope so with all my heart! Finally settling down to read this article Catherine, and glad to see that almost everything here has been within the long-established standard in the arena of healthful eating. One thing new to me, that I’ve only seen through Dr. Katz’s writings, is the idea that “one size” doesn’t fit all, and that healthful nutrition should be more about overall healthy eating patterns and less about the amount of “nutrients.” Thanks for this insightful piece! Absolutely Donna! You are most welcome! This is great! So refreshing to see the focus on common ground instead of the usual divisiveness that tends to permeate discussions centered around food and nutrition. I read the consensus statement yesterday and the one I enjoyed the most was #4 – Food should be good for your health, good for the planet and…just simply good and unapologetically delicious. Didn’t know that one was yours! Hopefully this event will be a turning point in field. Thanks for posting the info and links! Thanks Caleb! I am delighted to hear that! I think that’s why everyone felt so energized by the whole conference! it really was unprecedented, and really has opened up a real conversation about nutrition! 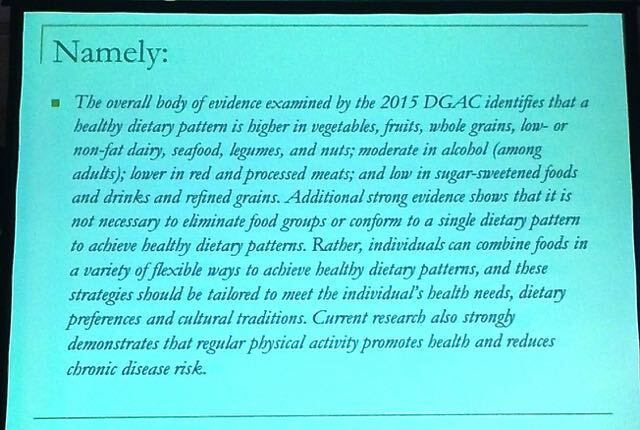 As for Slide #4, I wouldn’t want to take credit for all of it–that was from the consortium of experts–the only little part I added that was indeed appended, was about healthy food being “unapologetically delicious! !” Everyone loved that and agreed, and so it was added! Thank You so much for sharing this information, it is much appreciated. It is so confusing “out there”! You are a blessing to those of us searching for truth! You are most welcome, Laura! The experts and journalists at the conference were so passionate about it and I really think this is the beginning of something special for all of us! I am interested in follow up comments. Thanks! 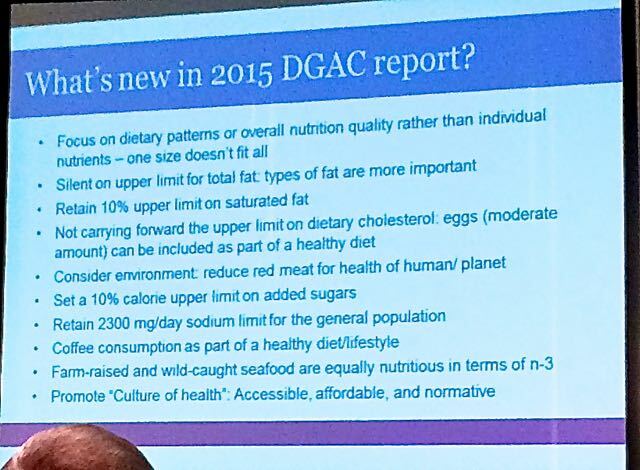 Thanks so much for your manifesto on healthy and common sense nutrition! One thing, I think you meant “bland” in your sentence below. ? Your recipes are so good and healthy too! I am definitely a Cuisinicity fan! Thank you Ginger! That means so much to me!! and YES!! good catch for “bland” I just fixed it!!! Wonderful read, packed with very interesting info & resources. Thank you. Thank you very much for bringing things together so nicely! I was always undecided who would be right- the Ornish, Bernard, Fuhrman guys or the mediterranean standpoint, but it seems to be that the body of evidence supports both viewpoints ! That’s great! I’m looking forward for your new vegan recipes ? Thank you Renate! I will be working on those right after Thanksgiving! I already created a superb vegan burger but haven’t had the chance to take a beautiful photo of it because everyone gobbled them up before I had chance to do so!!! Hahaha! That’s a good sign! Thanks for your clarifying words on fat. I felt a strong tension between the low fat guys ( Ornish, Bernard, Fuhrman…) and the mediterranean style. So you put it clear that the body of evidence does’t prefer one over the other. So I can choose between two good options, not between the good and the bad. I’m still trying to find out what is the better way for my breastcancer but thank’s a lot so far. I also like your post on sugar in it’s place, it’s a real practical but well based viewpoint. Looking forward to your vegan recipes! ?